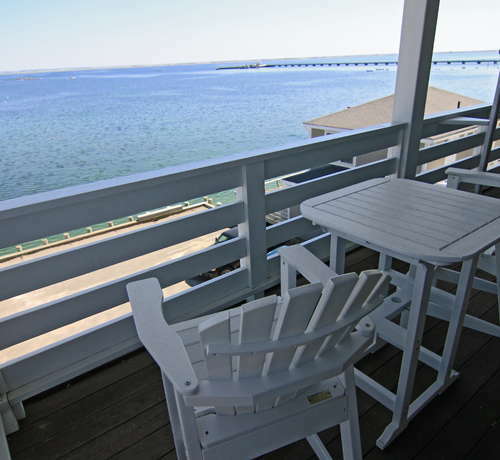 This regal, turreted beach house in the heart of Provincetown enjoys a wonderful location just steps from bars, shops and restaurants and overlooks the water. 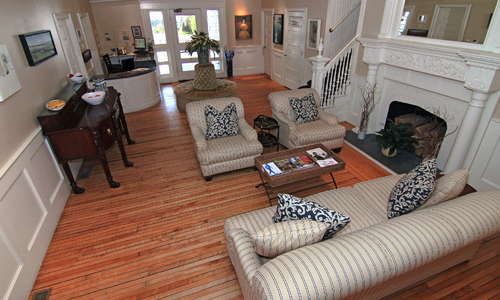 You won't find frill and excess here, just a tasteful and comfortable place to call your own while vacationing. YOU SHOULD KNOW This is an adults-only hotel. Also, the owners' well-behaved dogs are often at the inn. 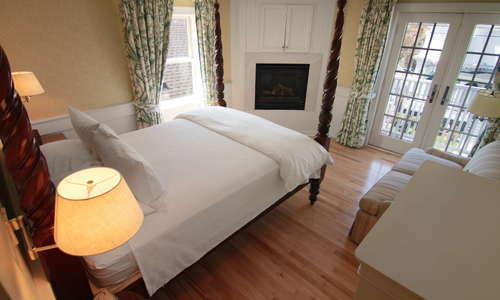 The airy guest rooms are done in a palette of whites and tans, with wicker furniture and, in many cases, four-poster beds and fireplaces, and most have unobstructed water views (those without cost a fraction of the price). 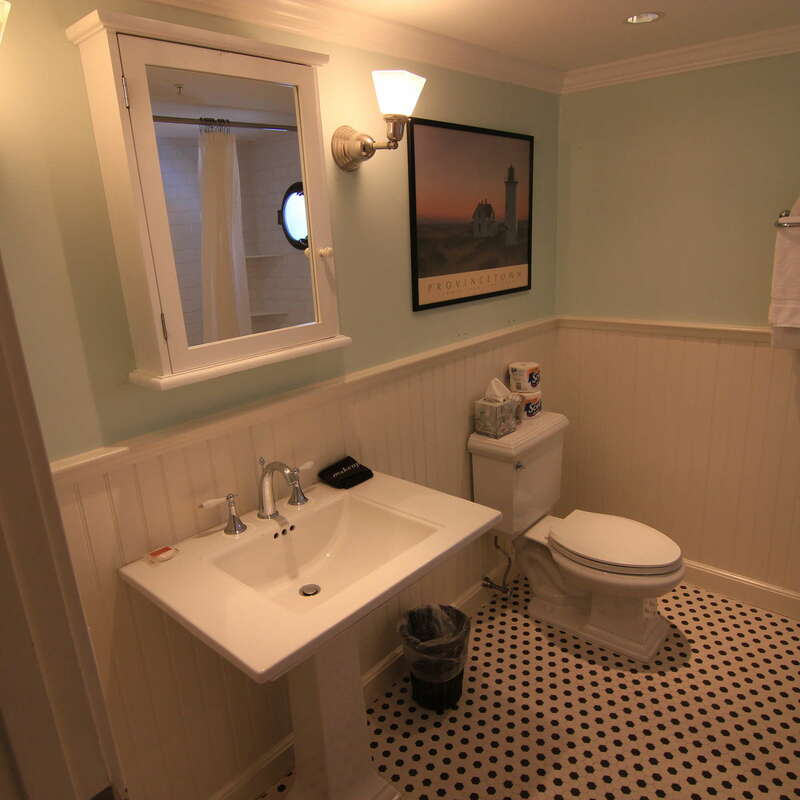 The three most romantic accommodations occupy the turret. 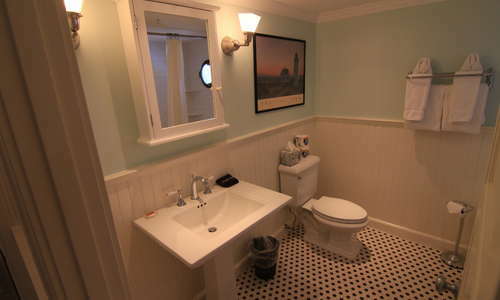 Rooms feature pristine bathrooms with tiled floors and showers. Some rooms have whirlpool tubs. 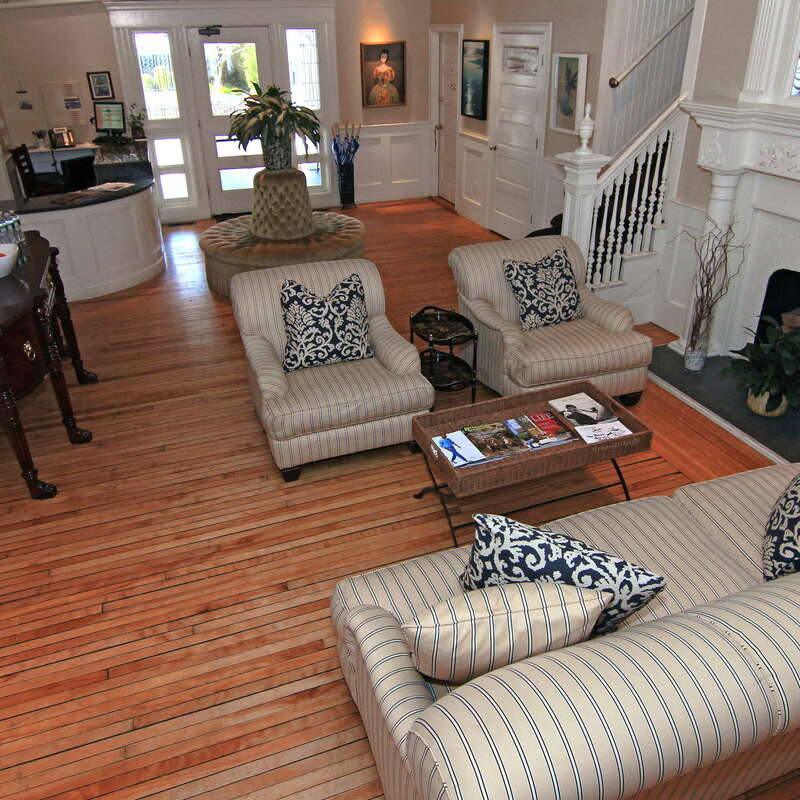 The lobby/living room area offers a comfortable seating area with a fireplace. The wide front porch with rocking chairs is a great place to lounge and people-watch. Public parking is available on site (reservation is needed) and costs $10 per day. There's a substantial continental breakfast buffet, which includes bagels, English muffins, cereal, yogurt, hard-boiled eggs, coffee, tea, and juice. It is offered daily from Memorial Day through Labor Day and on weekends only in the off-season. 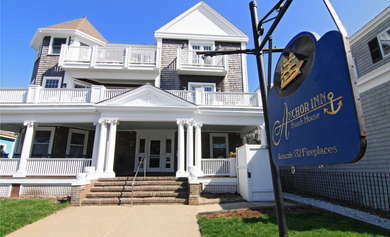 Provincetown is completely walkable, so if you drive to the inn, you can park your car and forget it. If you came on the ferry or via a bus, again, there’s no need for a car. The hotel is steps from the center of town. Renting a bike to get to the beach is a popular option. Local 186 (1-minute walk) specializes in gourmet burgers, while Pepe’s (10-minute walk) serves up tasty seafood on the waterfront. The Pointe Restaurant and Wine Bar (5-minute walk) offers farm-to-table dishes, with excellent service in a charming setting. The Boatslip (1-minute walk) is a hotspot in P-town. Every afternoon at 4 pm, the deck of the Boatslip is transformed into Provincetown's biggest outdoor dance party. The Aqua Bar (2-minute walk), located right on the water, is another great place to enjoy a beer or cocktail. 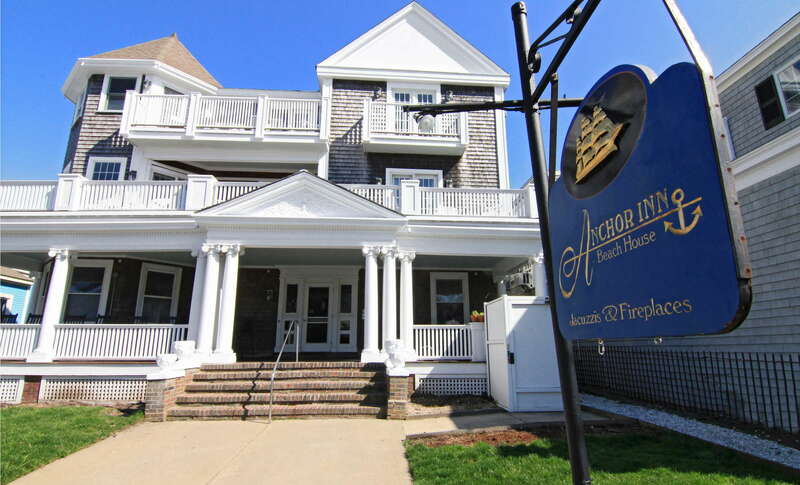 The location of this charming inn is outstanding and its waterfront rooms, especially on the higher floors, have unbeatable views. The front porch, right on Commercial Street, is a central place to hang out and people-watch. 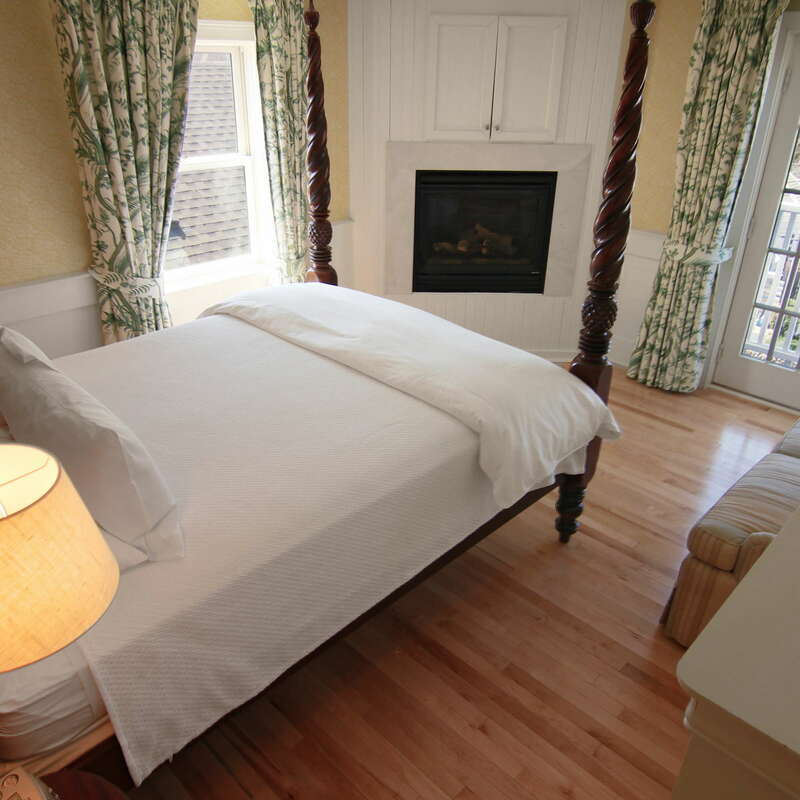 The inn is meticulously cared for and the owners (and their dogs) are quite welcoming. $$ &middot; 527 Woods Hole Rd. $$$ &middot; 297 Shore Rd.